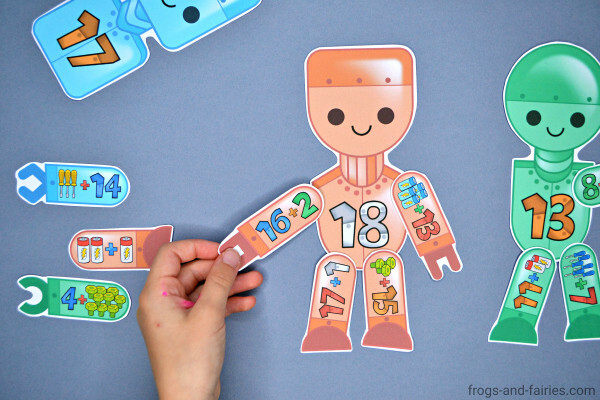 Do you need an engaging activity for practicing addition up to 20? 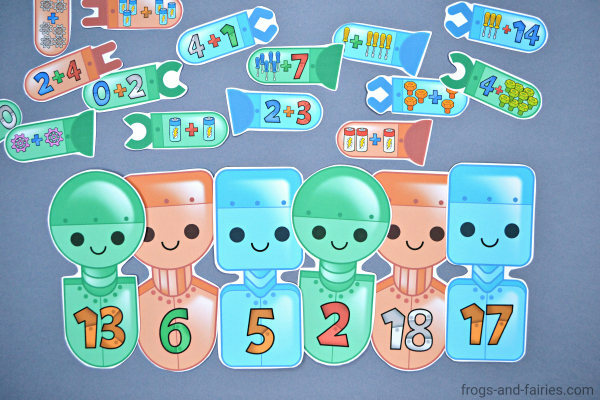 This Build a Robot Addition Match with adorable robots is sure going to make learning exciting and fun! This printable PDF includes 10 pages of 20 x 5 addition robot pieces. 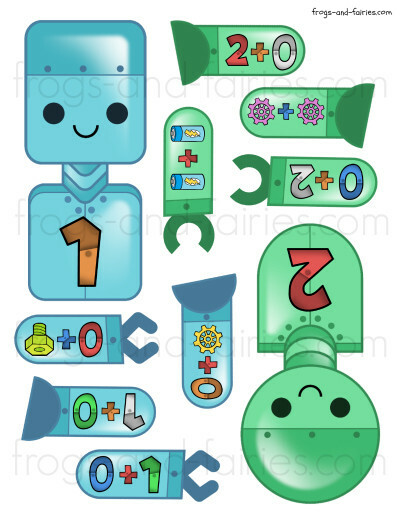 Your kids will build the robots by counting the bolts, cogwheels, screwdrivers, batteries and solving addition facts. This set includes addition facts up to 20 so it’s perfect for kids who are practicing beginning addition up to 10 and those who are working on double digit numbers as well. 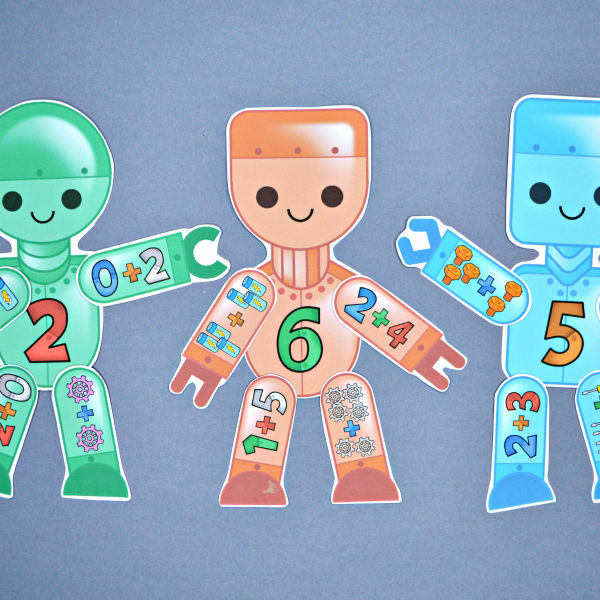 This printable number match activity features robot pieces with fun robot themed numbers and colorful images, to make sure your kids stay engaged and also have a lot of fun practicing! 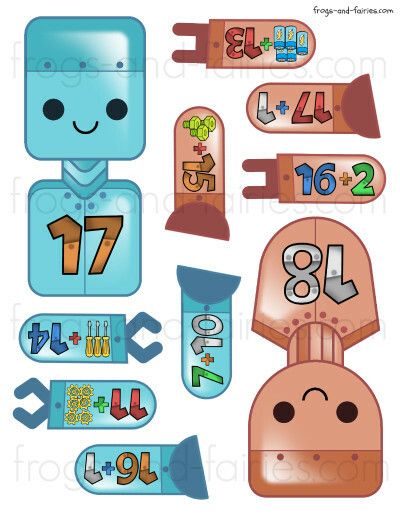 TO PREP: Print out the robot pieces. Print them on cardstock or laminate for extra durability. Cut them out. 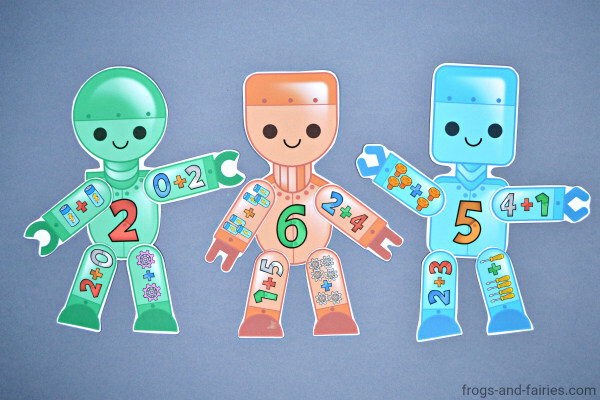 TO PLAY: Let your kids solve the addition facts and match robot arms and legs to the number on the robot. Have fun!